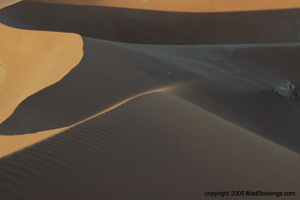 Namibia Hotels, lodges, camp site and accommodation guide. 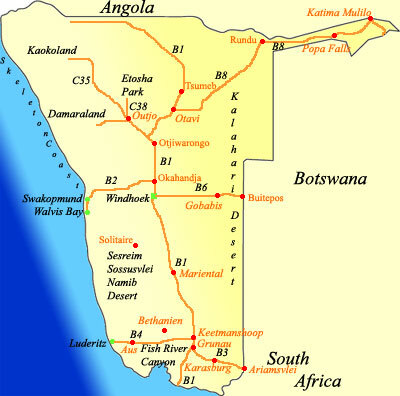 Information photographs and booking details on places to stay in and around Namibia. Border post open 08h00 to 17h00. South west border between South Africa and Namibia. A convenient stopover point between Caprivi and Etosha in the far north. Midway supply stop between Etosha and the Caprivi. 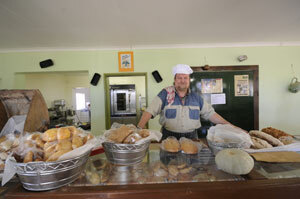 Small garage, shop, fuel station and you must try the Apple Crumble ! Town on the Kalaharis edge between Windhoek and Keetmanshoop on the main B1 road. A small easily missed crossroads town where the B3 road from Ariamsvlei and the B1 road from Noordoewer/Windhoek meet.